Christmas Festival is the date set aside for the celebration of the birth of Jesus Christ. Christians celebrate it on December 25th all over the world. The celebrations were to make known that winter is not forever. It was a form of worshiping the sun. Jesus was born nearly 2000 years ago. To the Christians, Jesus is the Son of God and the Savior/Saviour of the world. The Christians believe that He came to die for our sins so that we may go to heaven. We all love Christmas, but how much do any of us actually know about why Christmas festival is the way it is? Here are some facts about Christmas trees, Santa Claus, and Rudolph that you (probably) didn’t know. Smarten up! Christmas supposedly marks the birth of Jesus Christ on December 25. But there is no mention of December 25 in the Bible and most historians actually believe he was born in the spring. 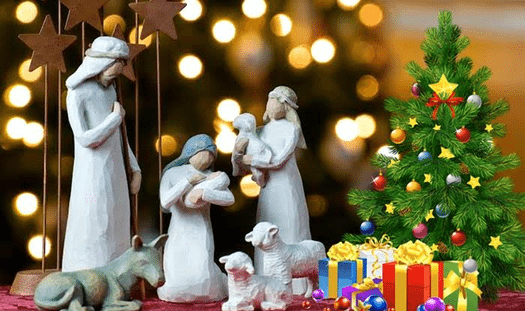 Christmas festival actually comes from "Mass of Christ". It was however shortened to "Christ Mass". Sometimes the shorter version "Xmas" is also used. Real name of Santa Claus is St. Nicholas, who was born during the third century in the village of Patara. The Christmas tree made its way to America in the 1830s but wasn’t popular until 1846, after Germany’s Prince Albert brought it to England when he married Queen Victoria. The two were sketched in front of a Christmas tree and the tradition instantly became popular. Royal fever was real even back then. The well-known reason we give presents at Christmas festival is to symbolize the gifts given to baby Jesus by the three wise men. Because of its roots in pagan festivals, Christmas was not immediately accepted by the religious. In fact, from 1659 to 1681, it was illegal to celebrate Christmas in Boston. Rudolph was almost named Rollo or Reginald. Reginald the Red-Nosed Reindeer doesn’t quite have the same ring to it. Share your thoughts with us through comments and share your feedback here.